With spring just around the corner, it’s time to start decorating! If your apartment’s been looking a little lackluster as winter comes to a close, here are 5 ideas for some spring-inspired beautification. Whether it’s in a fresh set of kitchen towels, a candle on your end table, or a new bedspread, pastel colors are the way to go this spring. Think lavender, baby blue, light pink, or pale yellow. These colors are fresh and light and will reflect the season! Flowers always brighten up any space and spring is known for its fresh blooms. 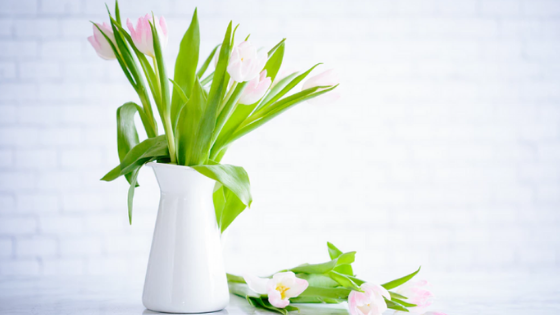 While you can certainly head to the flower shop and nab a beautiful spring bouquet, cut flowers don't have that long of a lifespan and can be pricey. Consider purchasing a potted spring-time flower instead! Tulips, Easter lilies, crocuses, and hyacinths are all great choices and will bring the beauty of this time of year to any room. Look for light flower patterns in some new linens. Sheets with small violets, a bedspread of roses, or hand towels with butterflies and lilies will brighten up your space in untold ways this spring. Finally, give the air a boost of fresh spring smells with a few new candles. Choose colors and scents that'll fill your home with the aroma of spring. When guests come over, they’ll appreciate the scents, too! Looking for Denver, CO apartments to rent? Give our office a call today to see the floor plans we currently have available.